By day, Vivienne is Guinevere's lady-in-waiting. By night, she's Merlin's secret apprentice, indulging in the new mechanical arts and science of alchemy. It's a preferred distraction from Camelot's gossipy nobility, roguish knights, and Lancelot's athletic new squire, Marcus, who will follow in all knights' footsteps by taking a rather inconvenient vow of chastity. 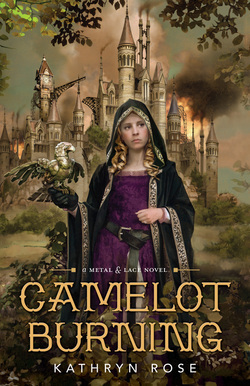 "The novel has the perfect blend of romance and action...Vivienne is a strong female character who holds her own…This debut fantasy novel will have readers clamoring to find out what happens next."